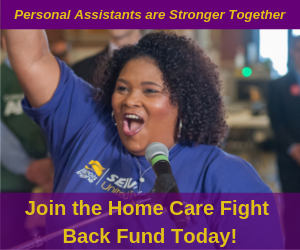 Help at Home workers fought and won 73-cent raises during our last round of contract negotiations, but hundreds of Help at Home home care aides are still waiting for the full raises they are owed. Help at Home is the only union agency in Illinois that is still sitting on raises that members fought hard to win. 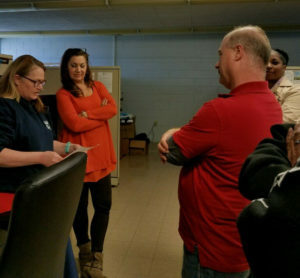 Workers filed a grievance four-and-a-half months ago against the company, but have yet to see any real movement from management to rectify the issue. As a result, SEIU members decided it was time to take action across the state to apply some real pressure! Chicago workers preparing for their action, led by Margaret Heywood-Smith, Levester Leflore, and Kelly Holmes. Chicago workers heading upstairs to demand answers from management. 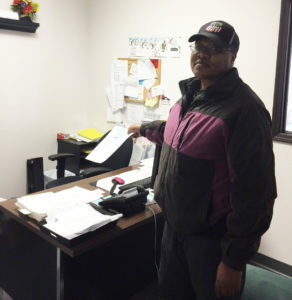 HAH member Katrina Sturvant leaves a letter on her supervisor’s desk demanding answers. 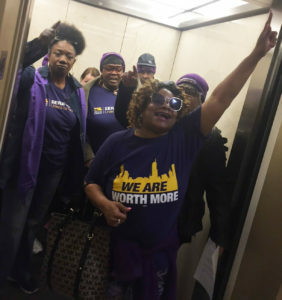 In Springfield, the bosses left early but that didn’t stop Gail Hamilton, Diana Inman, and fellow SEIU members from sliding the message under their door! 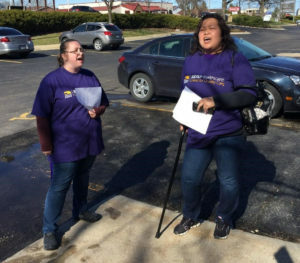 Here are Rockford members getting fired up before they marched on their local supervisor. In Peoria, Robin Sledge, Jay Lebeck, and Dawn Waughtel led the delegation that got their local office to fax their letter to corporate. 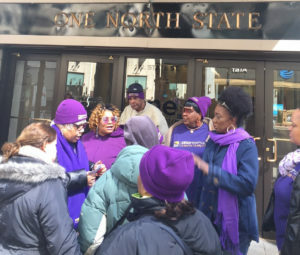 Fresh off of these actions, hundreds of SEIU home care aides descended on the state capitol for a successful lobby day to fight for another rate increase because 72-cent and 73-cent raises are not enough after years of wage stagnation. If you’re a Help at Home home care aide that still has not received your full 73-cent increase, call the Member Resource Center at 866-933-7348 to report it so we can add you to our group grievance.